Millions of Americans are affected by mental health issues. Still, even those who struggle with their symptoms can be reluctant to seek help due to common misconceptions about therapy and treatment. Allentown Associates believes that mental health is vital to every individual’s well being. We offer caring, compassionate psychiatry dedicated to improving our patient’s quality of life. Whether you have never stepped into the doctor’s office before or you’re seeking a new avenue for treatment, we are always here to listen, providing personalized care backed by over 35 years of experience. If you’re ready to begin your journey, or you have any questions, we encourage you to give us a call. Allentown Associates is a subsidiary of Advanced Behavioral Solutions. With over six years of experience in providing TMS Therapy, Dr. Gross has been recognized as one of the industry’s leading TMS providers on the East Coast. 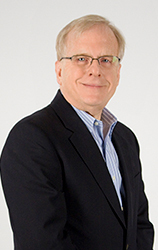 Dr. Paul K. Gross, is the Medical Director and founder of TMS Center of the Lehigh Valley. A graduate from the University Of Pennsylvania School Of Medicine, Dr. Gross is Board certified in Psychiatry, Geriatric Psychiatry and Forensic Psychiatry. For over thirty years, Dr. Gross has been a pioneer in psychiatric treatments. Not only was he the first to bring TMS to the Lehigh Valley, he was the first to conduct clinical research using TMS Therapy in the area. Dr. Gross is very active in the medical community in Allentown, PA and sits on several local boards of directors. He is also an active member of the Clinical TMS Society. If you would like to schedule an appointment, please give us a call. Plan to arrive at least 15 minutes early for your first visit. Bring your ID and insurance card to every appointment. If you need to cancel an appointment, please give at least 24 hours notice. We accept cash, checks, VISA, Mastercard and Discover. Please bring your preferred payment option along to your appointment. At Allentown Associates we accept most major insurance providers. If you’re unsure of your coverage eligibility, please give us a call.